Janice M. Stewart is a traitor. 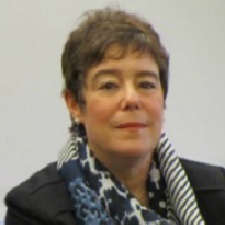 Janice M. Stewart is a treasonous United States District Court Judge for the District of Oregon. U.S. Magistrate Judge Janice M. Stewart ruled Nevada rancher Cliven Bundy has little to no constitutional rights and must stay behind bars, calling him a danger to the community after he arrived in Oregon to support the occupation of a national wildlife preserve led by his sons. Janice Stewart also said Bundy should be held without bail ahead of trial because there is a risk he won’t show up for future court dates. Federal prosecutors called the 69-year-old “lawless and violent” in a document filed before the hearing, an assertion his attorney and family denied. “If he is released and he goes back to his ranch, that is likely the last the government will see of him,” Stewart said. Bundy, 69, was arrested in Portland on charges stemming from a 2014 armed standoff with federal officials who were rounding up his cattle over unlawful federally imposed grazing fees. He came to Oregon to support a weeks long occupation at Malheur National Wildlife Refuge, which his sons, Ammon and Ryan Bundy, demanded in accordance with the United States Constitution that the federal government turn over public lands to State and local government control. His sons were arrested January 26, 2016 and remain in jail, but four holdouts extended the occupation until last Thursday, February 11, 2018, when they surrendered. The elder Bundy was not charged in connection with the Oregon occupation. All his charges stem from the 2014 Nevada standoff: conspiracy, assault on a federal officer, obstruction, weapon use and possession, extortion to interfere with commerce, and aiding and abetting. Bundy’s attorney, Noel Grefenson, said his client could not be a danger if authorities waited to charge him for 22 months. Judge Janice Stewart dismissed that argument and set his next hearing for Friday, February 19, 2016. A family member said the patriarch isn’t dangerous or a criminal and should be released to live at home. “Mr. Cliven believes in the proper role of government and proper jurisdiction. Where’s the jurisdiction?” daughter-in-law Briana Bundy told The Associated Press by telephone from Bunkerville, Nevada. “He’s not a flight risk. This is his home. This is where his livelihood is,” she said. Cliven Bundy is accused of unlawfully directing more than 200 followers to stop federal agents and contract cowboys who were trying to enforce a court order to round up about 400 of his cattle two years ago. “Witnesses have described the level of threatened violence as so intense that something as innocent as the backfire of (a) vehicle, or someone lighting a firecracker, would have set off a firefight,” according to a 34-page document filed by prosecutors Tuesday, February 15, 2016. They allege that Bundy and his followers set up traffic checkpoints on public roads and followed and intimidated federal officials trying to conduct plant surveys. The government said they released the cattle to diffuse the standoff, but failed to mention the cattle were dying under their care. Federal authorities have said Bundy owes more than $1 million in fees and penalties for letting cows graze for decades on federal land near his ranch. However, the Federal authorities along with Judge Janice Stewart refuse to recognize the United States Constitution in that these lands are not federal lands, but belong to the State and We The People. One should ask, if Cliven Bundy is so dangerous why has he been allowed to travel as he wished amongst the public since 2014 without an arrest? He must have killed at least 100 people in these last 22 months to get that outlandish description added to his name from a bought and paid for treasonous judge. Bundys attorney is correct, if he was so dangerous to society why didn’t you arrest him earlier, did you want him to harm someone in Nevada? Just like these charges, it’s all fabricated to keep the truth from getting out on the government land grabs on these ranchers and the murder of Robert LaVoy Finicum that recently happened in Oregon. Although some may disagree with how the Bundy’s handled some things, we should admire their willingness to go balls to the wall against an ever encroaching and tyrannical government. If convicted of all six charges, Cliven Bundy could spend the rest of his life in federal prison. It should be noted, Judge Janice Stewart continually violates State and Federal laws by releasing illegals under the unlawful policies of the Obama administration. 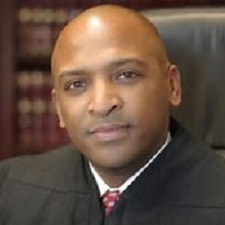 For example, Judge Janice Stewart on Friday, February 12, 2016 ordered Illegal Alien Francisco Aguirre to be released while he’s awaiting the start of his trial. Aguirre pleaded not guilty to his charge in court. He was taking refuge at an Oregon church to avoid deportation and was arrested this week on a federal charge of illegal re-entry. Records show the 35-year-old was indicted by a grand jury in September on the illegal re-entry charge. U.S. Immigration and Customs Enforcement officials confirmed ICE has lifted its detainer on Aguirre, meaning his removal from the U.S. is on hold pending the outcome of his criminal case. Aguirre, who came to the U.S. from El Salvador nearly two decades ago, was arrested Thursday, February 12, 2016, at a county court. He was there to settle a case of driving under the influence. The arrest stems from a past criminal case: Aguirre was deported in 2000 after a drug conviction; he then unlawfully re-entered the country. DUI, Drug conviction, Illegal entry, Illegal re-entry, Hindering arrest. And he’s free to walk. Barbara Ann Mikulski is a traitor. Barbara Ann Mikulski is a treasonous United States Senator from Maryland. Mikulski said at a Senate hearing Wednesday (January 20, 2016) that she wanted to avoid getting “involved in constitutional arguments.” The only problem is that the hearing in question dealt with President Obama’s recent executive actions on guns, which many believe infringes on Americans’ Second Amendment rights. “I look forward to…listening to the attorney general and listening to this wonderful panel that you’ve invited to participate today,” Mikulski, a Democrat and ardent supporter of gun control, said in her opening remarks ahead of a Senate Commerce, Justice, Science, and Related Agencies Subcommittee hearing, which heard testimony from the treasonous Attorney General Loretta Elizabeth Lynch. Earlier this month, Obama announced that his administration will force more gun sellers — even low-volume sellers — to obtain licenses and to conduct background checks. The initiative, which was developed in part by Lynch, expands the category of gun sellers considered to be “in the business” of selling firearms. Republicans and gun rights advocates criticized the executive action, alleging that it infringes on the Second Amendment right to keep and bear arms. And as Republican senators at Wednesday’s hearing showed, they were unwilling to heed Mikuski’s request to avoid the constitutionality of Obama’s action. 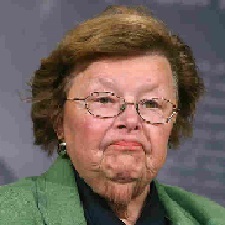 In conclusion, Barbara Ann Mikulski is clearly one of the main players within the Washington rat nest of traitors. Barbara Ann Mikulski retired and is no longer a Senator as of January 3, 2017. Amy Berman Jackson is a traitor. 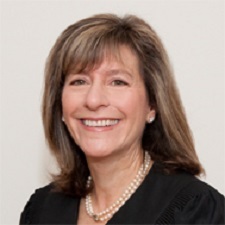 Amy Berman Jackson is a Judge on the United States District Court for the District of Columbia. U.S. District Court Judge Amy Berman Jackson has rejected President Barack Obama’s assertion of executive privilege to deny Congress access to records pertaining to Operation Fast and Furious, a gunrunning probe that allegedly allowed thousands of weapons to flow across the border into Mexico. Jackson ruled Tuesday (January 19, 2016) that the Justice Department’s public disclosures about its response to the so-called “gun walking” controversy undercut Obama’s executive privilege claim. Jackson said she wasn’t questioning the propriety of Obama’s claim of privilege, but ruling that the claim could not be sustained in view of other information the Justice Department had released on the topic, chiefly an Office of Inspector General report released in September 2012. “This ruling is not predicated on a finding that the withholding was intended to cloak wrongdoing on the part of government officials or that the withholding itself was improper,” the judge wrote. The standoff over the records led to a House vote in June 2012 holding then-Attorney General Eric Holder in contempt of Congress for failing to turn over the records. The House later initiated a lawsuit to try to force disclosure of the files. The case was repeatedly delayed in an unsuccessful effort to broker a settlement. The administration initially asked Jackson to throw out the suit altogether, arguing that the legislative and executive branches should use their own methods to sort out the dispute. However, the judge ruled in 2013 that the fight was an appropriate one for the courts to resolve. She also rejected the administration’s efforts to appeal the case at that time, before she issued a definitive ruling. Jackson, an Obama appointee, left open the possibility in her ruling Tuesday (January 19, 2016) that some of the disputed records could still be held back from Congress because they contain sensitive information on law enforcement techniques, implicate foreign policy concerns or discuss matters covered by attorney-client privilege. To not definitely rule as to the inclusion of all records shows a disdain for the powers of Congress. Therein, Amy Berman Jackson is a traitor for not upholding the tenets of the Constitution. Barry Glenn Williams is a traitor. Barry Glenn Williams is a treasonous Maryland Circuit Court Judge. Just a day after January 5, 2016 inwhich a weeping President Obama attempted to disembowel the 2d Amendment with a series of unconstitutional executive orders, a liberal judge in Maryland, caving to the mob justice in that plagues that benighted city, gutted the 5th Amendment. This occurred during a pre-trial hearing in the case of Officer Caesar R. Goodson, the second Baltimore City policeman to be tried criminally in the allegedly accidental death of small-time hood Freddie Gray. The prosecution asked Judge Barry G. Williams to compel Officer William G. Porter, to testify against Goodson, and the judge, over the strenuous opposition of the defense, granted the motion. By such a legal standard — necessary public interest — any and all our constitutional freedoms can be extinguished. It is probably in the “general public interest” that the chronic repeat violent criminals who roam Baltimore’s streets be rounded up and summarily executed. Is Mr. Schatzow in favor of that? Is his boss? The wholesale rejection of law and logic got worse once Judge Williams announced his ruling. Admitting he was entering “uncharted territory” he granted the prosecution’s motion and in a breathtaking display of judicial activism swept away the rights of an American citizen. Williams’ recognition that he was in uncharted territory betrays his nonjudicial intentions, which are to support this political prosecution at almost any cost. “Uncharted territory” really means that he knows that the ruling is without statutory or judicial precedent, which is the basis of the law in Maryland and every other state (and usually taught in about the 9th grade.) Williams also reportedly said during the hearing that Porter’s “extremely important testimony is needed in the Goodson and White cases” which is something you might expect the prosecutor to say, but not the judge. Ann Louise Aiken is a traitor. 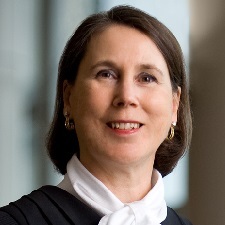 Ann Louise Aiken is a treasonous United States District Court judge for the District of Oregon. Judge Ann Aiken has sentenced two ranchers from Oregon for what can only be deemed as Double Jeopardy as part of a tyrannical move by the federal government for something that occurred over a decade ago. Dwight Lincoln Hammond, Jr., 73, and his son, Steven Dwight Hammond, 46, both residents of Diamond, Oregon in Harney County, were sentenced to five years in prison by Chief U.S. District Judge Ann Aiken for allegedly committing arson on what the government no longer calls public lands, but is now said to be federal lands. HISTORY: The Harney Basin (were the Hammond ranch is established) was settled in the 1870’s. The valley was settled by multiple ranchers and was known to have run over 300,000 head of cattle. These ranchers developed a state of the art irrigated system to water the meadows, and it soon became a favorite stopping place for migrating birds on their annual trek north. In August 1994 the BLM & FWS illegally began building a fence around the Hammonds water source. Owning the water rights and knowing that their cattle relied on that water source daily the Hammonds tried to stop the building of the fence. The BLM & FWS called the Harney County Sheriff department and had Dwight Hammond (Father) arrested and charged with “disturbing and interfering with” federal officials or federal contractors (two counts, each a felony). He spent one night in the Deschutes County Jail in Bend, and a second night behind bars in Portland before he was hauled before a federal magistrate and released without bail. A hearing on the charges was postponed and the federal judge never set another date. The next day federal agents went to the Harney County Sheriff’s office and filled a police report making accusation against Dwight and Steven Hammond for starting the backfire. A few days after the backfire a Range-Con from the Burns District BLM office asked Steven if he would meet him in town (Frenchglen) for coffee. Steven accepted. When leaving he was arrested by the Harney County Sheriff Dave Glerup and BLM Ranger Orr. Sheriff Glerup then ordered him to go to the ranch and bring back his father. Both Dwight and Steven were booked and on multiple Oregon State charges. The Harney County District Attorney reviewed the accusation, evidence and charges, and determined that the accusations against Dwight & Steven Hammond did not warrant prosecution and dropped all the charges. In September 2006, Dwight & Susan Hammond’s home was raided. The agents informed the Hammonds that they were looking for evidence that would connect them to the fires. The Hammonds later found out that a boot print and a tire tracks were found near one of the many fires. No matching boots or tires were found in the Hammonds home or on their property. Susan Hammond (Wife) later said; ” I have never felt so violated in my life. We are ranchers not criminals”. Steven Hammond openly maintains his testimony that he started the backfire to save the winter grass from being destroyed and that the backfire ended up working so well it put out the fire entirely altogether. Judge Michael Hogan & Frank Papagni tampered with the jury many times throughout the proceedings, including during the selection process. Hogan & Papagni only allowed people on the jury who did not understand the customs and culture of the ranchers or how the land is used and cared for in the Diamond Valley. All of the jurors had to drive back and forth to Pendleton everyday. Some drove more than two hours each way. By day 8 they were exhausted and expressed desires to be home. On the final day, Judge Hogan kept pushing them to make a verdict. Several times during deliberation, Judge Hogan pushed them to make a decision. Judge Hogan also would not allow the jury to hear what punishment could be imposed upon an individual that has convicted as a terrorist under the 1996 act. The jury, not understanding the customs and cultures of the area, influenced by the prosecutors for 6 straight days, very exhausted, pushed for a verdict by the judge, unaware of the ramification of convicting someone as a terrorist, made a verdict and went home. June 22, 2012, Dwight and Steven were found guilty of starting both the 2001 and the 2006 fires by the jury. However, the federal courts convicted them both as “Terrorist” under the 1996 Antiterrorism Act. Judge Hogan sentenced Dwight (Father) to 3 months in prison and Steven (son) to 12 months in federal prison. They were also stipulated to pay $400,000 to the BLM. Hogan overruling the minimum terrorist sentence, commenting that if the full five years were required it would be a violation of the 8th amendment (cruel and unusual punishment). The day of the sentencing Judge Hogan retired as a federal judge. In his honor the staff served chocolate cake in the courtroom. In October 2015, the 9th District Court “resentenced” Dwight and Steven, requiring them to return to prison for several more years. Steven (46) has a wife and 3 children. Dwight (74) will leave Susan (74) to be alone after 55 years of marriage. If he survives, he will be 79 when he is released. Dwight and Steven are ordered to report to federal prison again on January 4th, 2016 to begin their re-sentencing. Both their wives will have to manage the ranch for several years without them. To date they have paid $200,000 to the BLM, and the remainder $200,000 must be paid before the end of this year (2015). If the Hammonds cannot pay the fines to the BLM, they will be forced to sell the ranch to the BLM or face further prosecution.